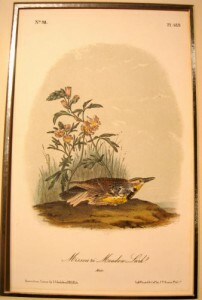 Description: “Missouri Meadow Lark” Original Hand-Colored Lithograph. Plate 489, No. 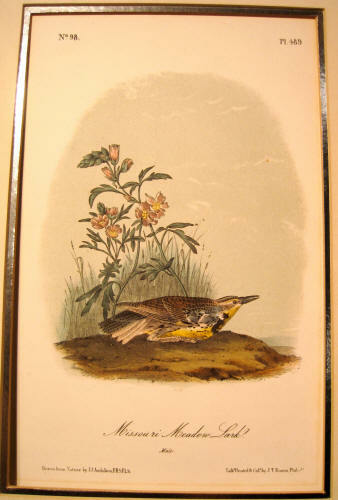 98 from ‘The Birds of America.’ Printed and Colored by J. T. Bowen, 1840-1844. Laid down with a window line. Otherwise, very good condition.